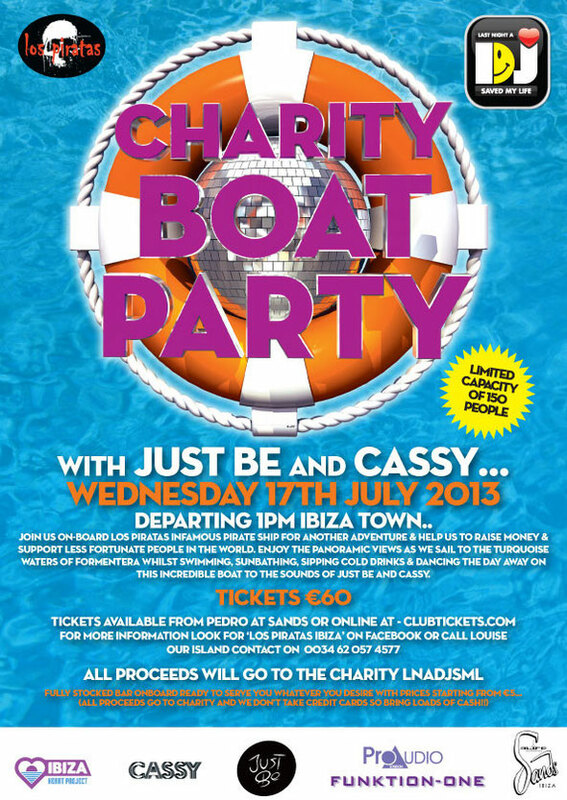 On Wednesday 17July the Last Night A DJ Saved My Life Foundation team up with two credible names in electronic music, Just Be and Cassy, for their charity boat party setting sail from Ibiza Town at 1pm and returning at 10pm. Party hosts ‘Los Piratas’ and the Last Night A DJ Saved My Life Foundation have over seven years experience at hosting the White Isle boat parties on their vessel the ‘Calla Millor’. Equipped with a Funktion-One sound system, ‘Calla Millor’ is different from the traditional ‘Ibiza booze’ and will be transformed into a floating playground, ideal for some high seas hedonism. Taking you on a scenic route past the sights of Salinas beach and Playa D’en Bossa the boat will transport you through turquoise waters toward Formentera and back again.Soundtracking the cruise are Just Be aka. Bushwacka! 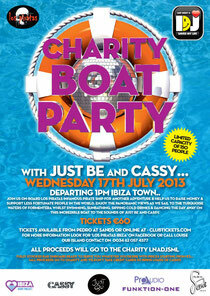 and Cassy, on hand to provide the perfect sounds to dance the day away to, until the Balearic sun sets. The Last Night A DJ Saved My Life Foundation was set up to raise charitable funds for a number of local and international charities, with all proceeds on the day going to charity.